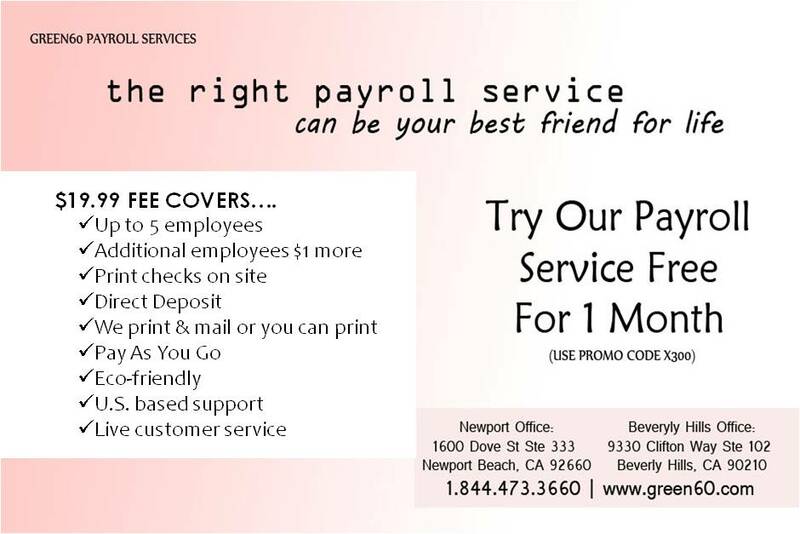 Payroll consists of a lot of moving parts. Correct taxes… correct employee hours… correct entry… correct reports… correct tax submission. 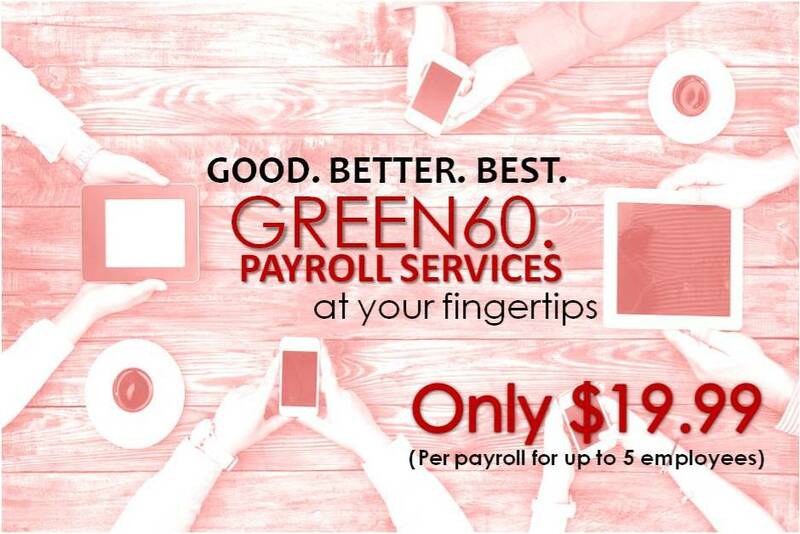 At Green60 we take away all the confusion and make payroll simple. We do all the work for you and include many add on services for one low price. Give us a call or contact us online at Green60.com.